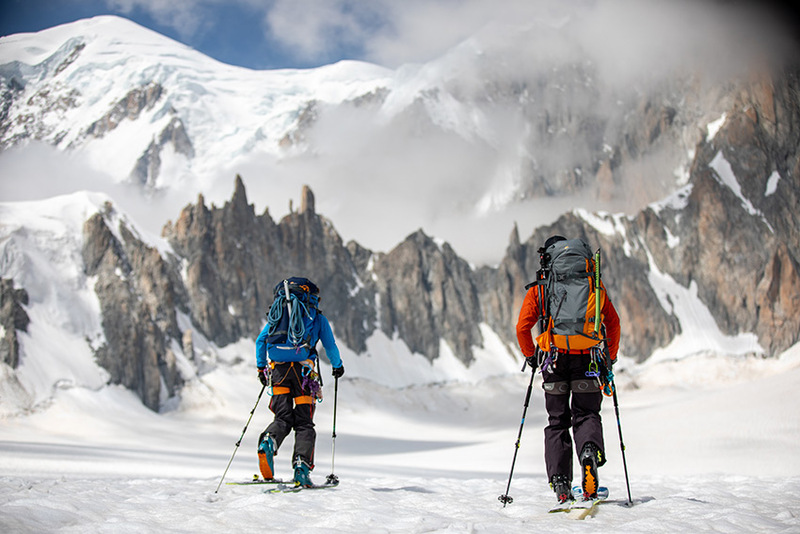 Adventure sports such as climbing, skiing and mountain biking bring you into extreme environments and call for a pack that was purpose-built for the weather, impact and rugged use. Choose a camera backpack like the Whistler BP 350 AW that is built from abrasion resistant and waterproof materials. Explore lakes, oceans, rivers and waterfalls! If your daytrip takes you in or around a lot of water, look for a fully waterproof bag such as the DryZone 200. Waterproof backpacks are great for kayaking, canoeing, boating and any other trip where you need more extreme protection from mud, dust and water. For more basic protection from everyday weather and rain showers, check out all of our camera backpacks with a built-in rain cover. When touring or on vacation, consider a hybrid bag to hold non-photo related gear in addition to your camera. Look for a camera bag like the Fastpack II which has a dedicated space to carry and protect your laptop, tablet and personal items, in addition to a camera compartment. Sometimes you won't be carrying around your camera. In these scenarios, look for a camera backpack that has a removable camera compartment such as the Photo Hatchback BP 250 AW. When you need more space, you can turn your camera backpack into an everyday bag. Check out all of our camera backpacks that have a removable camera compartment. For day trips, look for a backpack with the flexibility to fit your camera gear, laptop or tablet, plus personal items. If you are looking for a flexible entry-level camera daypack, the Tahoe BP 150 is a great choice with. Even on short outings, inclement weather can bring potential danger to your gear. A camera backpack such as the Photo Hatchback BP 150 AW includes a built-in weather barrier to protect your equipment from the elements. Now you can protect the rest of your gear as well as your camera kit. 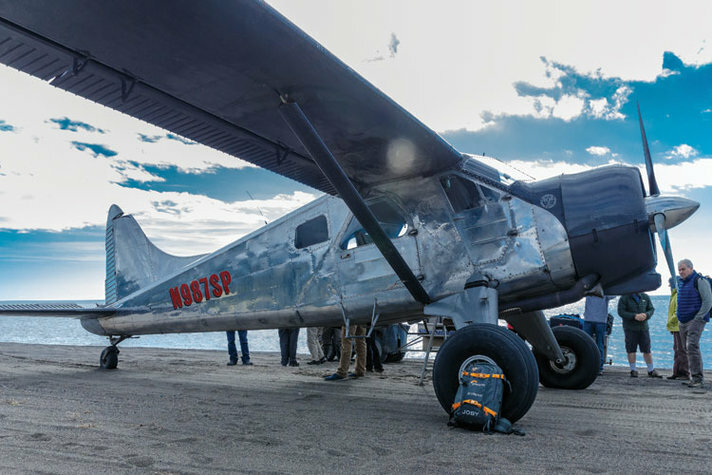 Lowepro's legendary build quality and attention to detail has been infused into the new HighLine Series adventure travel packs and roller. The HighLine (Roller) RL x450 AW is the perfect companion to the Whistler BP 450 AW and can even accommodate Whistler's removable camera box to give you maximum versatility. 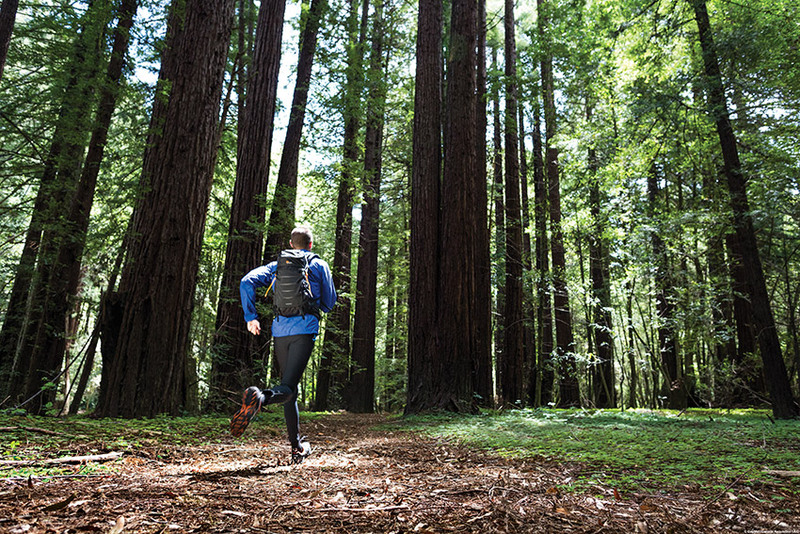 Sleeping pads, trekking poles and hydration reservoirs are just a few additional items you may need to carry in a backcountry backpack. Carrying all of this gear requires an advanced suspension system and multiple attachment points. 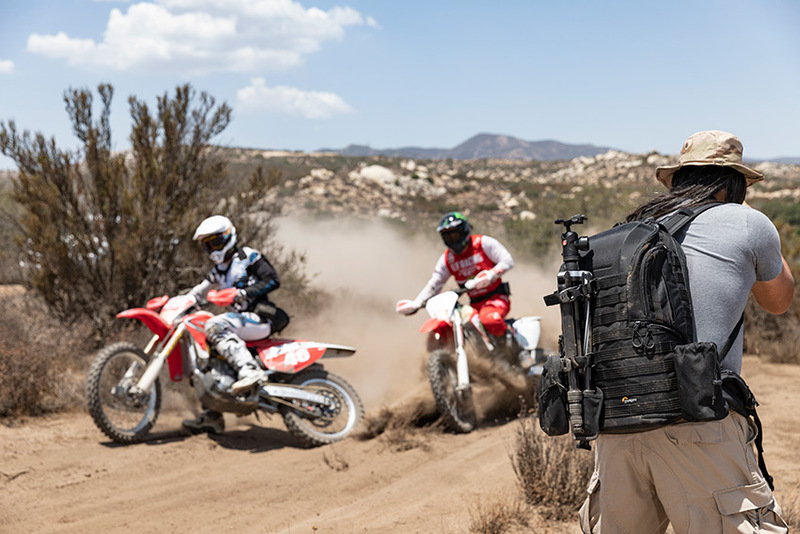 Camera backpacks such as the Whistler 450 have technical suspension systems to ease the carrying load and help evenly distribute weight. For multi-day carrying comfort look to the ultra-premium suspension on the ProTrekker Series. Another important feature for expedition backpacks is ability to separate your camera kit from the rest of your gear. 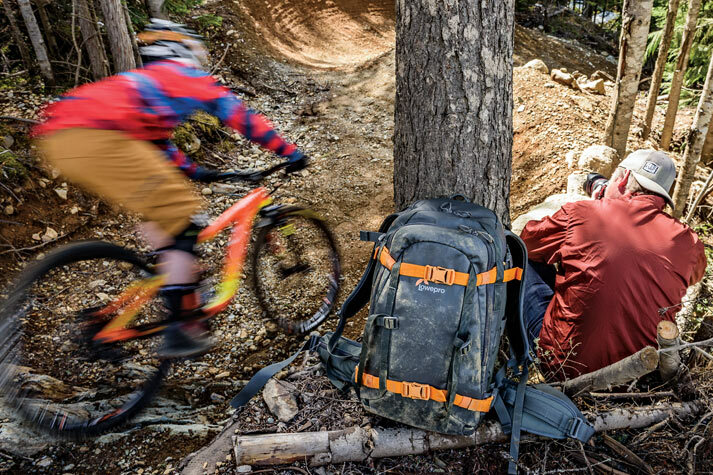 Packs in the Whistler Series have a dedicated wet storage area with a waterproof barrier separating the camera box, while the Flipside Trek series splits the camera and personal compartments vertically in the bag. For more options, check out all of our outdoor camera backpacks. You never want to check in your expensive camera gear, so finding a camera backpack that will fit in the carry-on compartment is a must. The key is to find the right size bag that will let you carry what you need, but still be small enough to carry on. Look for camera backpacks such as the ProTactic that will fit in the overhead compartment, but also perform in the field. Many of our backpack series have sizes that will fit on a plane. Universally accepted carry-on size for domestic flights is 22" x 14" x 9" or 55.88 x 35.56 x 22.86 cm with a carry-on weight limit of 40 pounds or 18.14 kilograms. Here are some photographer favorites that are travel friendly: Pro Runner BP 450 AW and the Pro Runner RL x450 AW which is both a backpack and a rolling case. 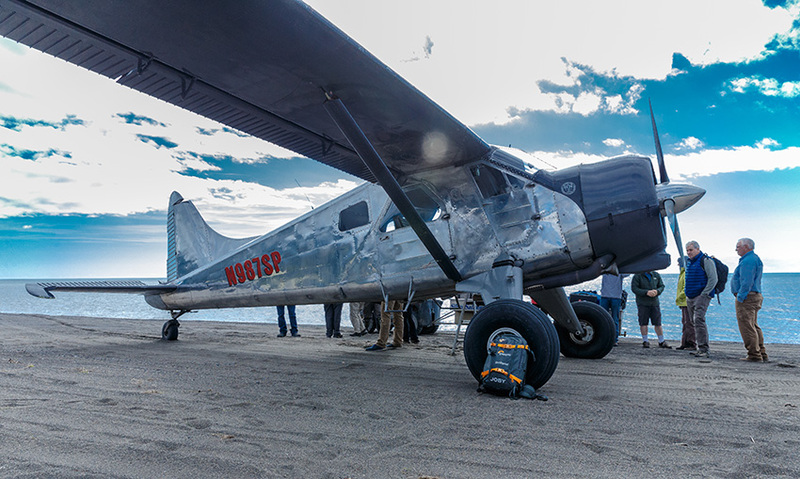 As a precaution, it's always recommended to check with your specific airline for the most up-to-date weight and size restrictions before you travel. Photography and outdoor sports go hand in hand. 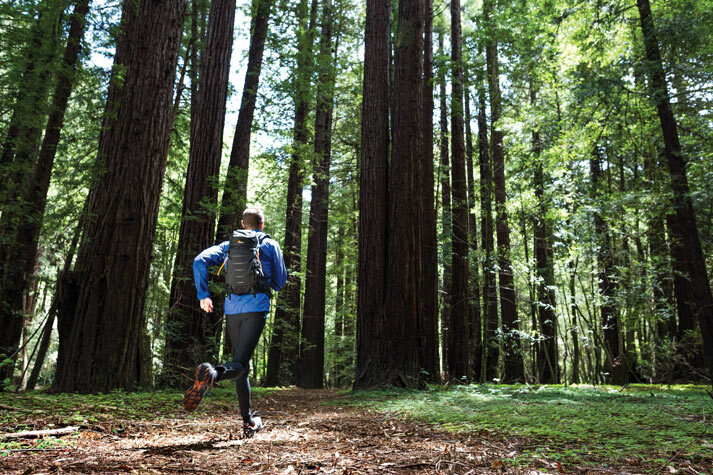 Stay active on the trail and bring your camera. For hiking, biking, trail-running or mountain climbing, check out the super-light Photo Sport AW II series. 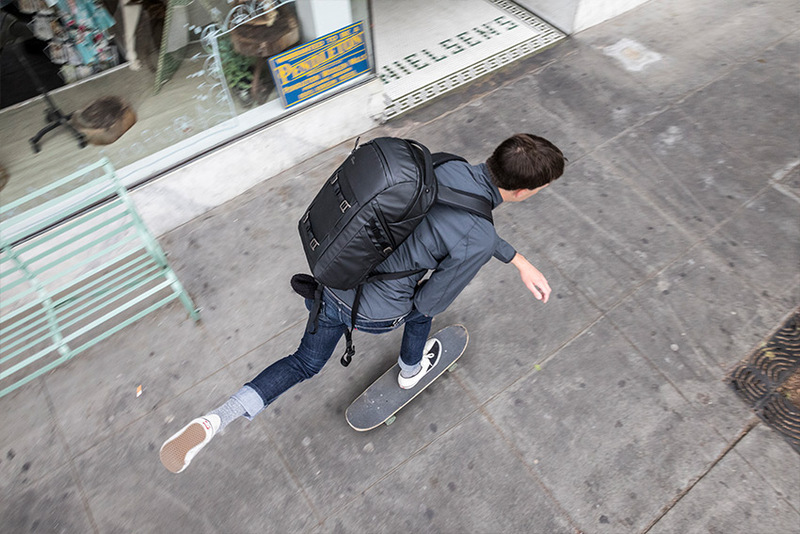 For moving fast in the city or while traveling, the Fastpack II is an excellent choice. For a lightwieght backpack for mirrorless cameras choose m-Trekker. Are you heading out for a day of photography where organizing your full camera kit is more important than snapping a quick shot. Perhaps you will use a tripod while waiting for the perfect moment to capture your image. Look for camera bags which carry a tripod and have the capacity to bring all the gear you may need. The Photo Classic BP 300 AW is perfect for the enthusiast photographer with a full camera kit. 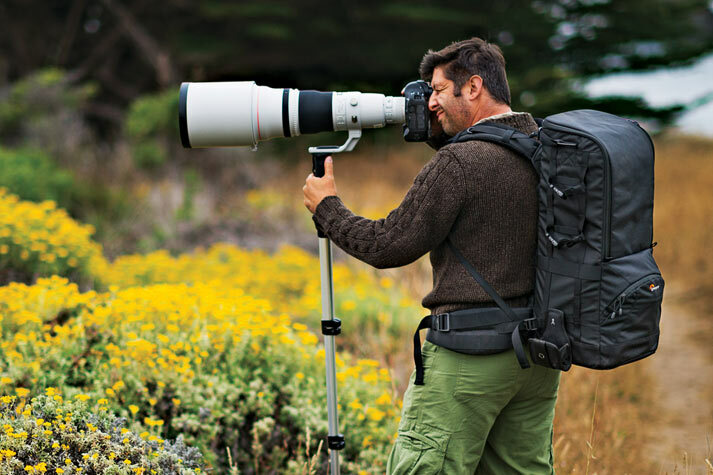 Check out all of our camera backpacks that fit tripods. Find a camera backpack that travels easily in the city. 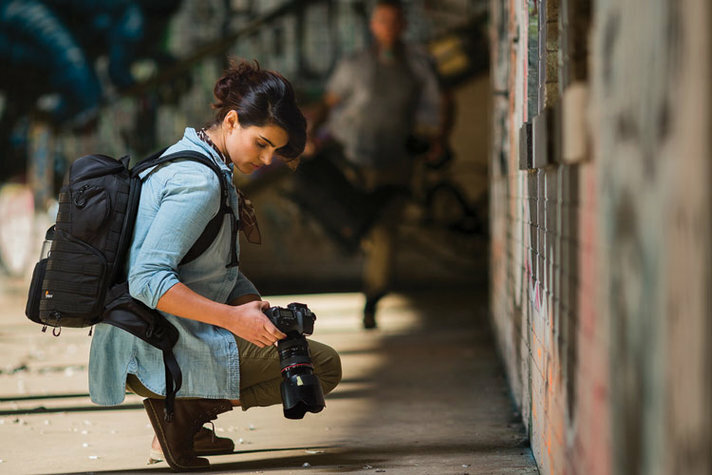 Street shooting demands mobility and fast access to your gear. A photo pack with side access allows you to quickly reach your camera without fully removing or setting down your bag. The Fastpack II gets its name from the fast-access side opening while the ProTactic camera backpacks provides fast-access on BOTH sides of the bag as well as via the top turret and body-side. Bags with body-side access such as m-Trekker or Photo Hatchback prevent access to the camera compartment while you are wearing the bag. If you are working in crowds and tight spaces such as subways and trains consider a slim urban-styled backpack design that doesn't broadcast "camera bag" to thieves like the StreetLine BP 250. With WiFi connectivity better than ever, you will want your devices close at hand. Backpacks that contain a dedicated compartment for a tablet or laptop ensure these devices are protected and available during travel. The Pro Runner BP 350 AW has designed space for up to 3 screen devices so you can bring your entire workflow with you. In the wild your subjects may be a shy and hard to reach. Getting close may not be physically possible, or could be dangerous to the photographer. In these situations, you might use long lenses, such as a 400mm or 500mm to photograph subjects at a distance. In this scenario, look for DSLR camera backpacks like the Flipside 400 or Flipside 500 which have a high-capacity for larger lenses. If you will be carrying these heavy lenses over long treks, look to the Pro Trekker AW series. It includes premium adjustable harnesses and waistbelt, as well as numerous outdoor-friendly features like a hydration reservoir to keep you hydrated on the go. 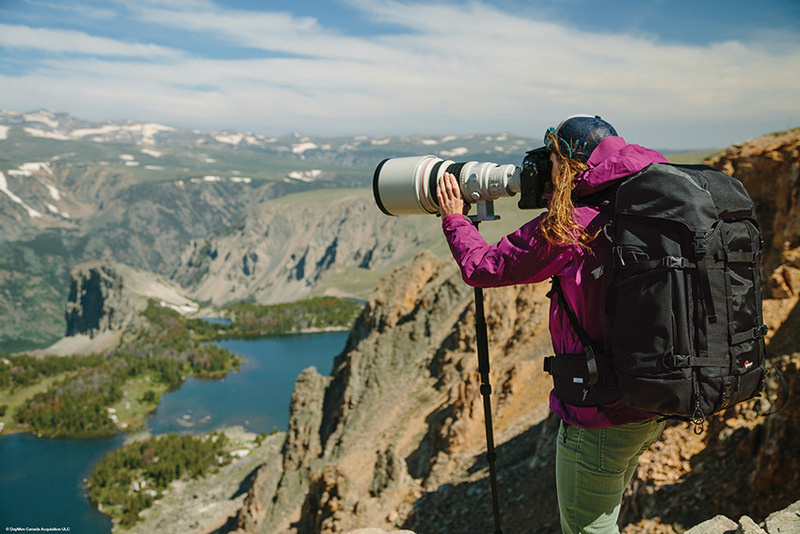 If you are carrying the largest super-telephoto lens such as 600mm lens, then the Lens Trekker 600 AW II is for you. Spending the day shooting in the outdoors means carrying more than just camera gear. When shooting landscape or nature photography look for a bag that has room for personal gear as well as your camera kit. 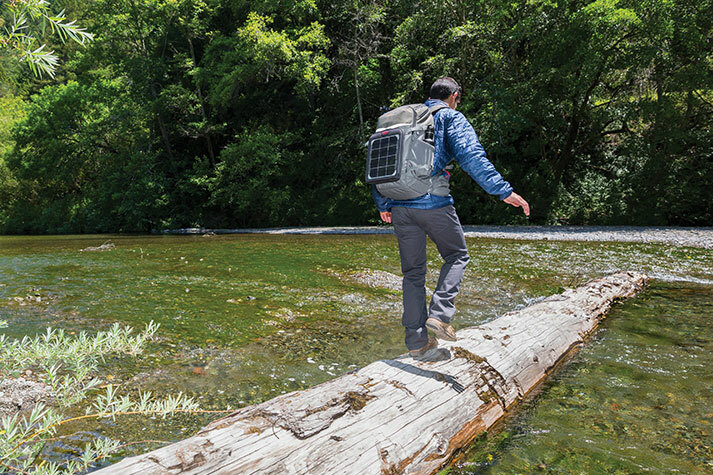 The Flipside Trek Series strikes the perfect balance with room for clothes, water and food with plenty of external attachment points for tripods, trekking poles or even a solar panel.